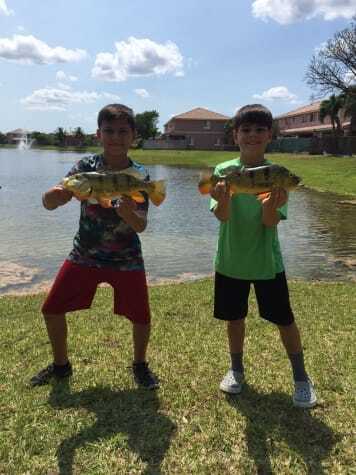 With a day off work and the kids getting out early from school, Chiqui, Javi and I decided to try and get some Peacock Bass. The Boys were throwing top water lures and the bite was hot immediately. After a little over an hour the boys landed 8 Peacocks including a ton of doubleheaders. 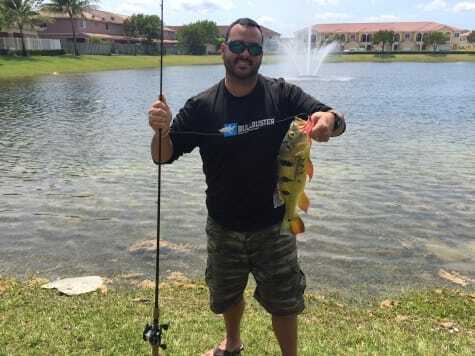 All the fish were nice size and caught on Bullbuster Monofilament. Chiqui & Javi with two nice peacocks caught as double headers on topwater lures and Bullbuster Mono.